Ontology has announced its cooperation with DVP, the world’s first decentralized vulnerability platform. Ontology will provide blockchain underlying technology support, build a distributed vulnerability sharing platform, and work together with DVP on the development of an open blockchain security platform and developer ecosystem. DVP will also airdrop to Ontology community members who have completed identity verification. The security and reliability of blockchain technology plays a key role in its development. According to the latest data from BCSEC (a China-based blockchain security network), economic losses caused by security issues worldwide has reached a high of $3.35 billion USD. Even with precautions incidents still occur. The main reasons for this are the imbalance of security expert specialties and skills, reliance on specific security personnel for project security, the imbalance of personnel supply and demand, and the insufficiency of traditional safety testing. DVP has implemented a security crowdsourcing model which utilizes the anonymity of blockchain to address this serious issue. So far, DVP has found 2,757 vulnerabilities for 1,038 blockchain projects, which is equivalent to avoiding millions in losses for the industry. “In this cooperation, we will use Ontology’s leading public chain technology to accelerate the development of decentralized use case scenarios for the DVP platform. At the same time, we invite more projects to join DVP and release security bounty reward programs, which will bring better security to enterprises”. “Blockchain security should not be underestimated. Since we released our bug bounty program, we have been interacting more with the technical community and timely solved some security vulnerabilities, which has helped us build a more secure chain network system”. DVP (Decentralized Vulnerability Platform) aims to build an anonymized and security crowdsourcing through a decentralized vulnerability platform. DVP is devoted to solving the security crisis of blockchain companies. We will link the blockchain technology companies, security companies, Baimaohui, and other community members to minimize the risk of vulnerability exposure at minimum cost and contribute blockchain ecosystem security. For further information, please visit: http://dvpnet.io. The Ontology team is excited to announce the release of Punica Suite, an Ontology blockchain dApp development framework. Supports intelligent contract compilation, deployment, invocation, and testing. Each item can be completed simply and efficiently through a single line of commands and testing through a configuration file. Create multiple accounts automatically for users to work with SmartX and Cyano wallet. More development aids will be available for user reference or dApp development. Provides a variety of contract templates for developers to experience. At the same time, the Ontology bounty program remains open, and even has a couple of Punica-related tasks! We are pleased to announce the establishment of the Ontology Research Institute, with senior blockchain and cryptography expert Dr. MAO Xianping as the dean of the institute. As a new high-performance public blockchain project and a distributed trust collaboration platform with a real use case scenario strategy, Ontology has always put technology at the forefront of strategy and paid close attention to the continuous improvement of technology through research. We have built a new generation high-performance public blockchain using the VBFT consensus algorithm, a smart contract system supporting multiple programming languages, and a chain network system supporting multi-chain collaboration. At the same time, we have improved the distributed identity framework and distributed data exchange protocol, which have laid a solid foundation for building the distributed trust cooperation platform component of Ontology. In addition, Ontology provides a one-stop smart contract development tool — SmartX — and a distributed application development tool Punica to facilitate developers to build diverse types of distributed applications on Ontology. Ontology set up the research institute in order to focus more on the research and development of core blockchain technology and strengthen the ability to explore, reflect on, and apply emerging technologies, as well make contributions to the entire industry. 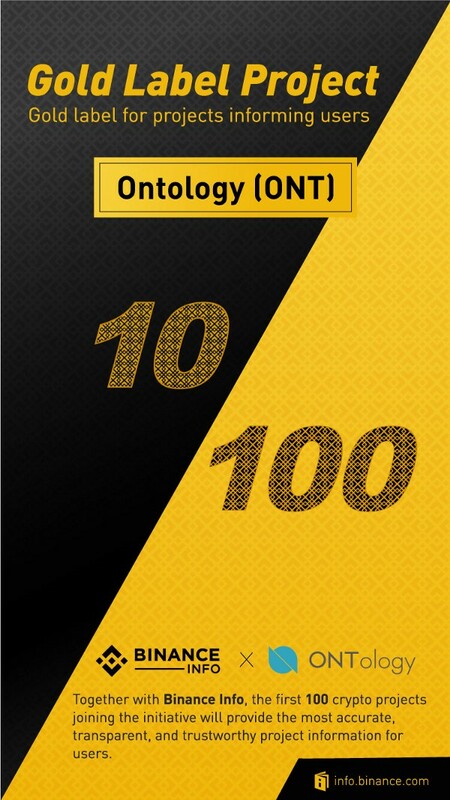 At present, there are more than ten R&D personnel in the Ontology Research Institute. Dr. Mao holds a PhD in Cryptography from Shanghai Jiao Tong University. He is committed to innovation and application research of blockchain underlying technology and cryptography, and has a deep understanding of blockchain consensus mechanisms, blockchain privacy protection, and data security. Mao has been in well-known international journals in the field of cryptography and has published more than ten related academic papers for conferences. 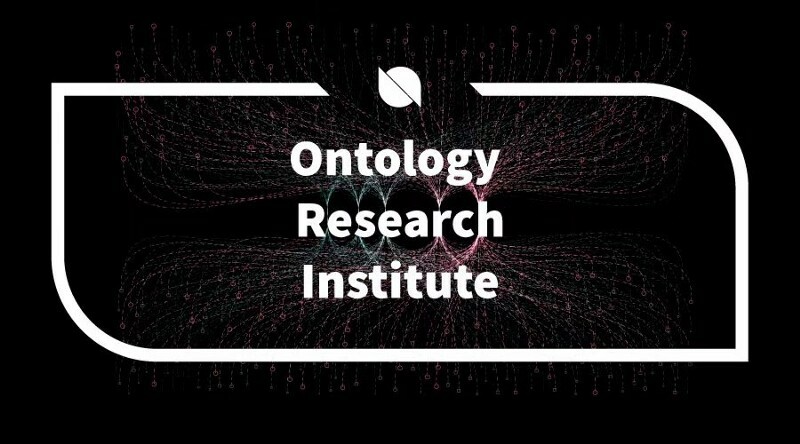 The Ontology Research Institute is an important link in the Ontology technical community, enhancing the core technology strength of Ontology, the connection with the technical community, and ties with academic institutions. Continuing to increase input in technologies to provide solid technical support for building a distributed trust ecosystem — such the multi-dimensional identity system, data exchange system that supports complex metadata modeling and multi-level extensions, multi-dimensional credit rating system. Ontology is an open community project and research platform. We have already formed joint research cooperations with a few universities, technical communities, and technical and industry experts. 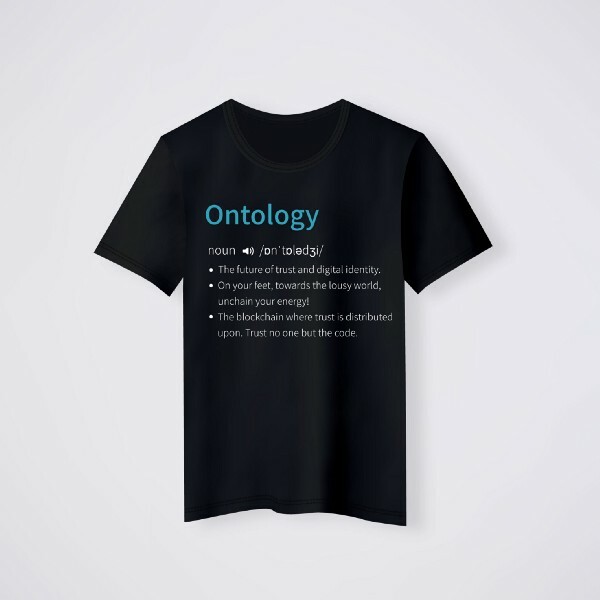 In the future, through the Ontology Research Institute, we will be able to form technology research cooperations on a larger scale, to not only develop the Ontology ecosystem, but also further contribute to the development of blockchain technology at large. Blockchain 3.0 is the strategic goal for the next generation of blockchain, an infrastructure all countries are competing for. The development of blockchain requires joint efforts of more academic and research institutions around the world, as well as the cross-integration of multiple professional fields. 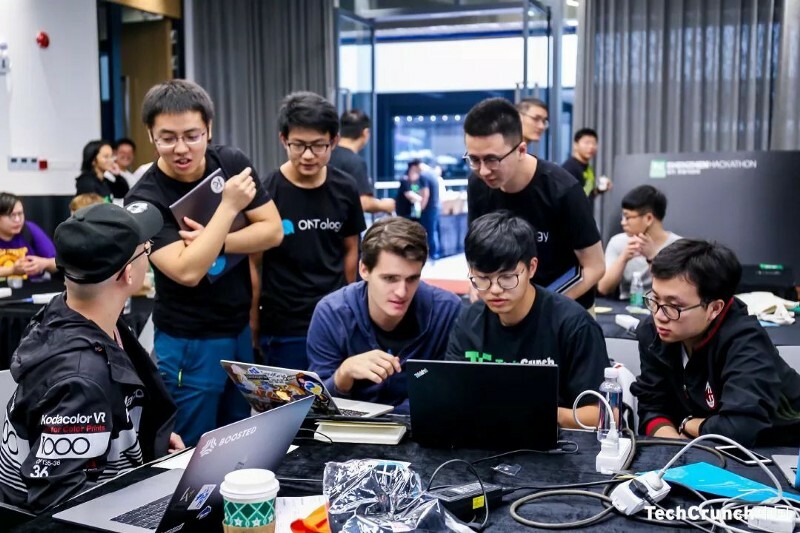 Ontology Research Institute should undertake the responsibility of theoretical innovation and basic method innovation in the field of blockchain, cryptography, and distributed computing, continuously develop blockchain core technology, and help China open-source independent core code and play a decisive role. Ontology is aimed at becoming an internationally leading blockchain project. We hope that, under the guidance of Dr. Mao, the Ontology Research Institute will provide rigorous and forward-looking theoretical guidance for the Ontology project. “The man on the high mountain always sees the sunrise ahead of the man on the plain”. We wish the Ontology Research Institute to lead us to innovate ceaselessly and embrace a brighter future. Technology accumulation is at the core of Ontology. We hope the research institute will take Ontology to a new height in frontier technologies. 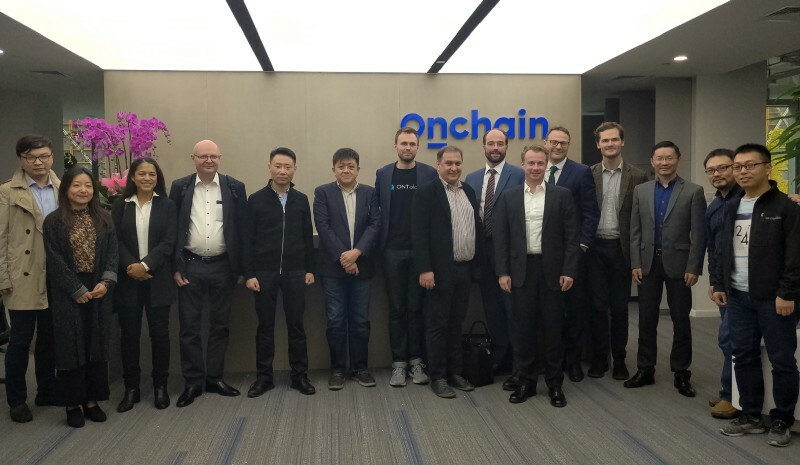 On November 14th, 2018, Ontology welcomed a Danish blockchain delegation for a discussion about technology, standards, and China/EU regulations. The delegation trip was organized by Innovation Centre Denmark in Shanghai and the Office of Denmark’s Tech Ambassador. 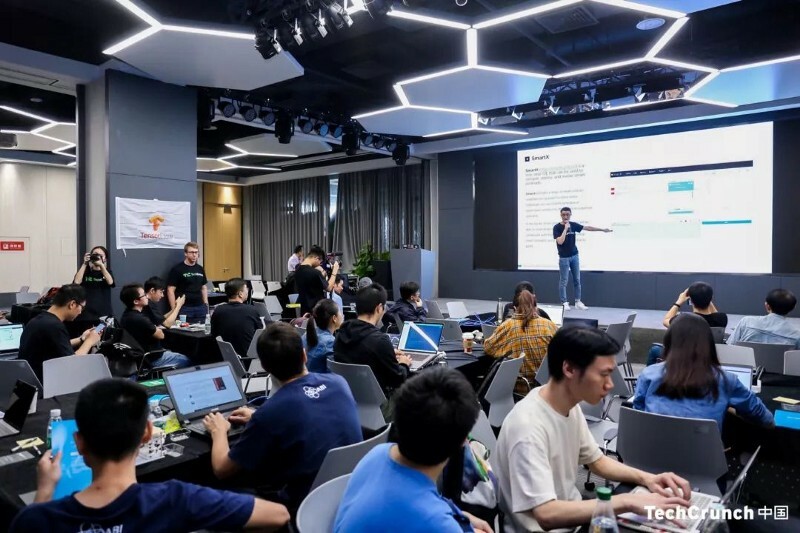 Attendees included leading blockchain experts and three key people from ISO/TC 307 (blockchain and distributed ledger technologies) working groups: Roman Beck, LI Jun, and Andy Ji. Among other things, the discussion centered around network governance, consensus, performance, scalability, and decentralization vs centralization — all for the purpose of exploring how to accommodate real business requirements and bridge national economies with blockchain ecosystems. Discussed in the meeting was that China has filed the most blockchain-related patents to date, followed by America — these countries are full speed ahead on implementation as well. While Europe with its strong regulatory body often takes a more pragmatic approach based on regulations followed by implementation of new technologies, the delegation demonstrated how for example Denmark fosters blockchain talent, new projects, and works proactively with the technology for digital identity management in the public sector. One concrete example from the delegation is how Denmark is migrating their legacy systems for public services to digital identity solutions (NemID to MitID) and is exploring how to replace the infrastructure with blockchain technology. Finally, the delegation and Ontology discussed areas of collaboration which included research from digital identity management, zero-knowledge proof, and smart contract standards for cross-border blockchain ecosystem interaction. 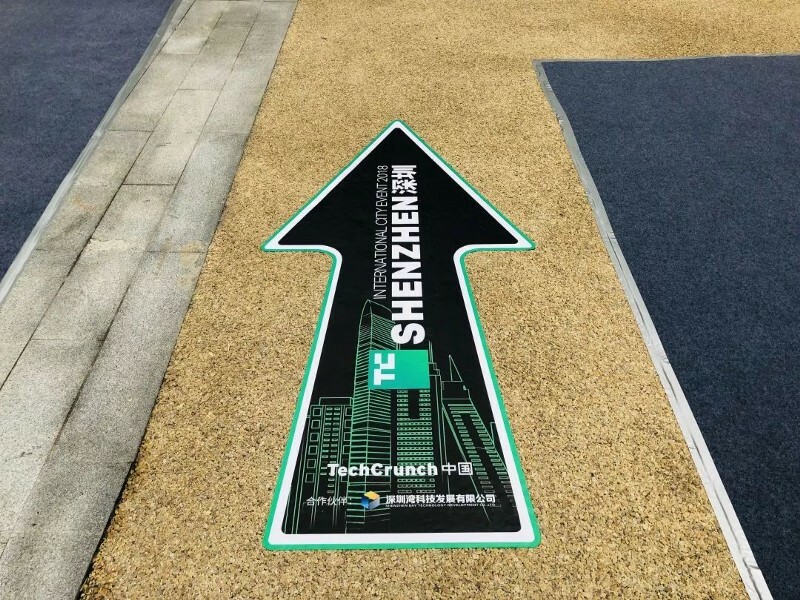 TechCrunch China held a hackathon in Shenzhen from November 17th-18th, 2018, which attracted developers from around the world who are interested in blockchain, dApps, and other emerging technologies. 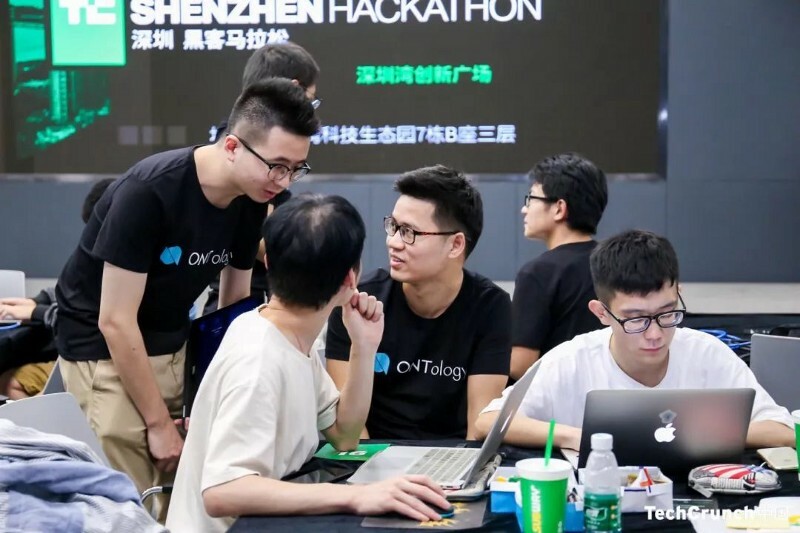 Ontology was a sponsor of the event and hackathon participants had the opportunity to develop on Ontology over 24 hours and win prizes for best ideas, innovation, and user experience. 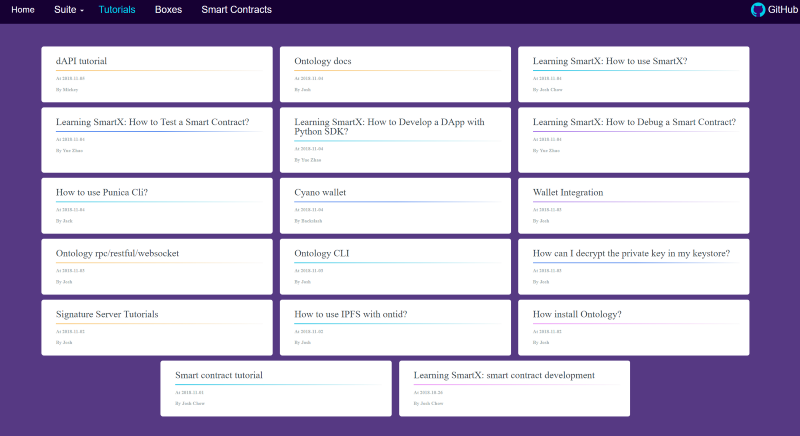 SmartX, a one-stop IDE that can be used to compile, deploy, and invoke smart contracts. It provides a range of smart contract templates and a powerful online editor. Individuals can use SmartX templates or commission community developers to customize contracts. Punica Suite, a dApp development framework. Punica Suite provides a complete set of development tools for developers, including command line tools (Punica CLI), a test node with UI (Solo Chain), a variety of dApp templates and cases (Punica-Box), and development tutorials (dApp Tutorial) for users to get started and develop quickly. On-site developers selected tasks under the guidance of Ontology developers, who answered questions on Ontology’s blockchain infrastructure including the use of dAPIs, ONT ID, and the OEP-4 token standard. Using Ontology’s digital identity and data exchange protocol (DDXF), build an application scenario. 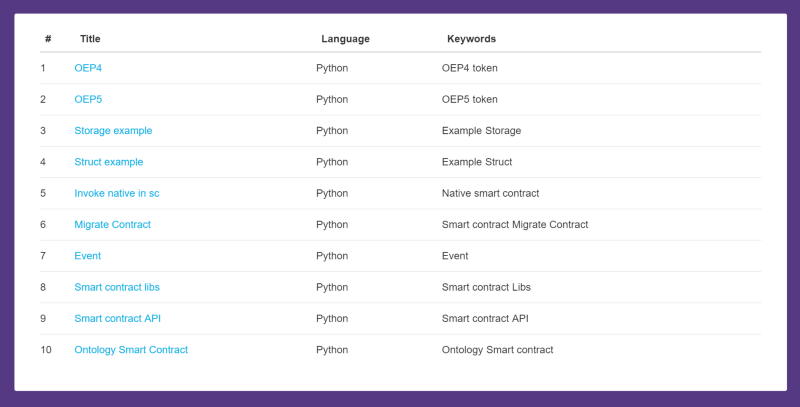 Optimize and extend existing Ontology modules (OWallet, DID, OEPs, etc.) by adding new features, functionalities, and GUIs, or creating new valuable modules. Enhance the Ontology block explorer, adding features such as dApp overview and details, and provide a customizable development interface that enables public or private blockchain technology to serve physical industries. The first group to present developed a blockchain-based anti-harassment call system, which accurately records call time, calling number, and recording of harassment calls and the like, saving users time in the reporting process and reducing economic losses from fraud. 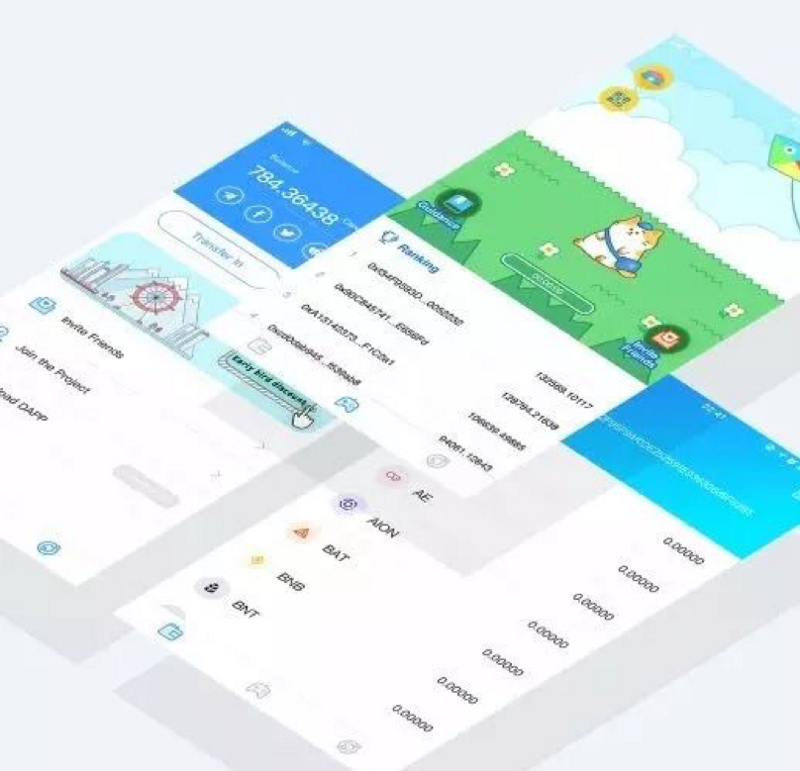 Independent developer Wuyun chose to expand the Ontology block explorer, including monitoring on-chain asset changes, displaying homogeneous and non-homogeneous assets, displaying records under OEP-4, and more, all of which aim to further help users view and manage their digital assets. 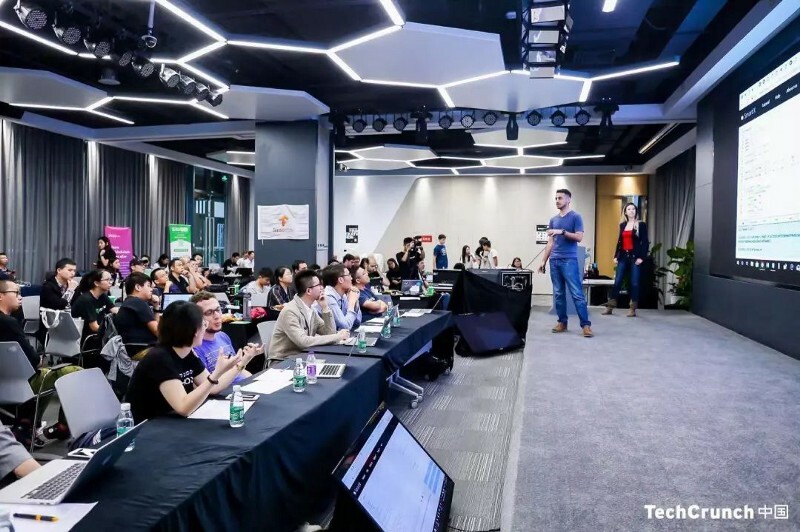 The third group focused on STOs, giving comprehensive analysis in returns, barriers to entry, asset liquidity, and decentralized operation and transaction processes, hoping to merge STO investment processes with the blockchain technology these users are investing in. The fourth group — Pandas — committed to using Ontology technology to enrich the gaming industry, including increasing recommendation incentives and attracting more users to the Ontology platform. The fifth group — Lyman — presented a chat records project. Using WeChat service accounts to build the basic framework, users can easily verify the authenticity of the information they receive. The profit model is SaaS and charges users dynamically. 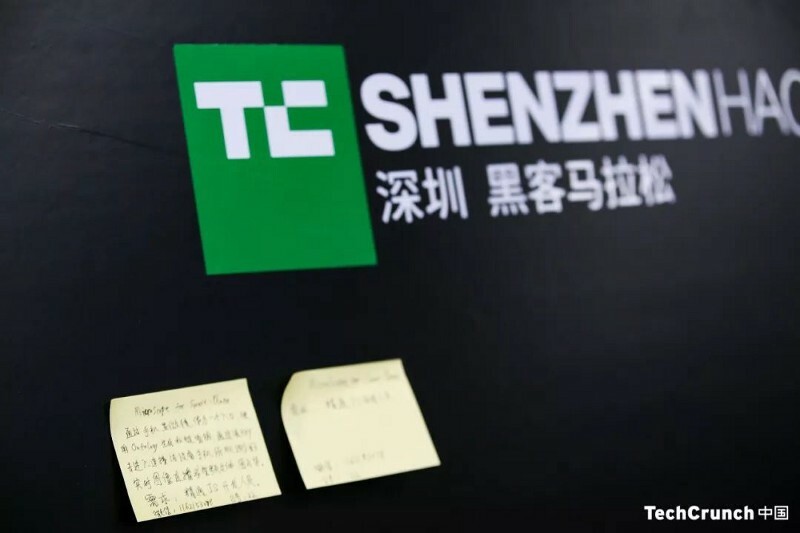 The team also included suggestions for future improvements of their product. Onion, the sixth group, who also participated in the second round of Ontology seed nodes, designed a dApp that provides one-stop access to information and sharing, Ontology ecosystem management, and dApp application centers. Based on these pain points, the two students think that products should be recorded to a blockchain at the beginning of production to facilitate follow-up investigations, tracking, traceability, and the overall strict control of medical care quality. The “Catalyst” team’s ideas revolve around digital rights, taking into consideration the pain points of copyright— when and where copyright is generated, who holds it, and how it is aligned with technological advancement. 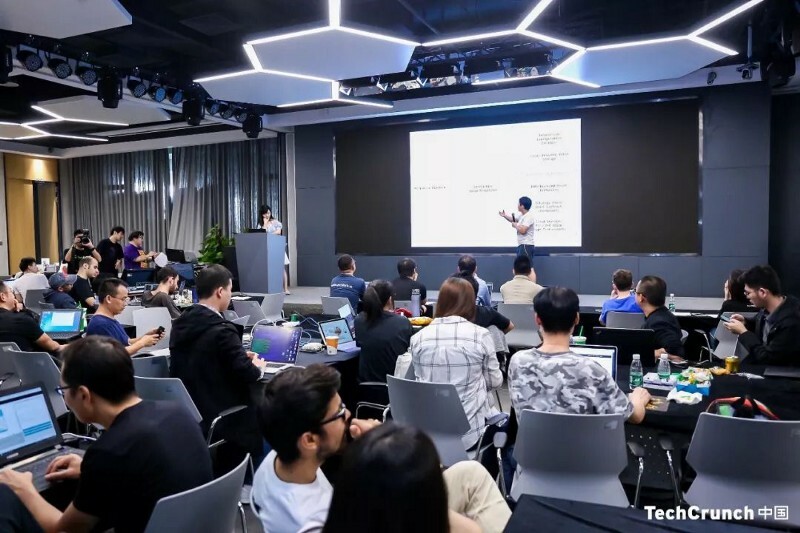 Team leader SONG Tong believes that the non-repudiation of blockchain and advanced tools such as smart contracts should be used to solve the problems of copyright. In the contract, the copyright will exist in the form of a unique hash value. The rights are divided into the right to use and ownership. The ownership can be used to issue the right to use, ownership can be transferred, and others can have their authority verified. 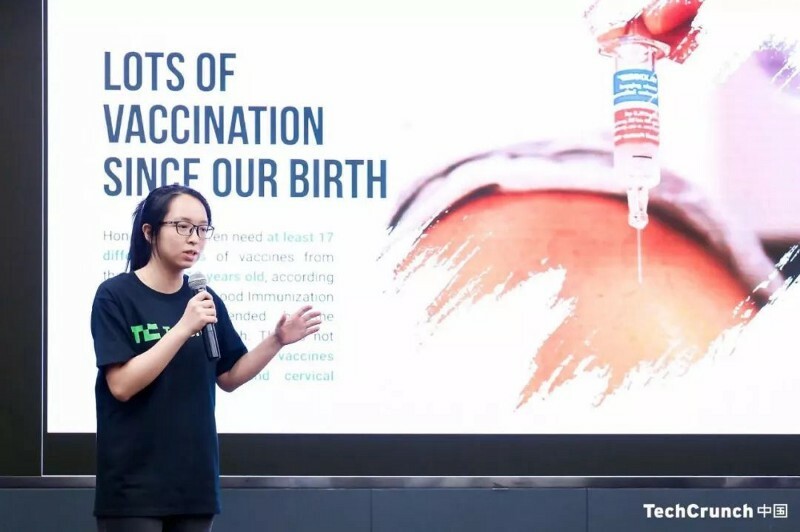 The DONTOR team’s project hoped to use Ontology blockchain technology to help children and MSD. An ONT ID can be generated using facial identification of children in need and worn in the form of a bracelet. This way, past information for diagnosis and treatment can be quickly accessed. ONTOFRAUD teamed up onsite and together envisioned an anti-fraud system. User credit status is first determined and then stored in a “library”. The library provides a real-time display of the proportion of trusted and untrusted users in the data system. When the user conducts a transaction, the credit rating of the recipient can be checked to prevent the risk. The “Tianrun” team envisioned a decentralized shopping marketplace for art, which uses ONT ID for registration, product confirmation, and product identification, which can then be evaluated and purchased through multi-signature systems, all within an Ontology environment. At the same time, the product includes membership systems, expert review, incentives, social media, and insurance services, to make the value of art more visible, while bringing greater trust to the trading process. The Zscope team proposed a system in which live broadcasts of scientific experiments could then have their information stored on-chain. They use smart contracts to register microscope instruments so that scientific researchers all over the world can view medical experiments and data obtained cannot be falsified once recorded, ensuring the accuracy of scientific experiments. 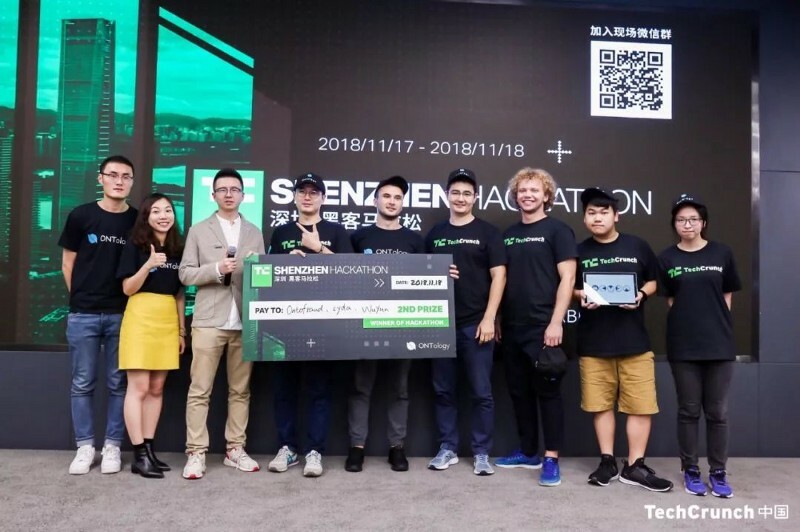 The judges were entangled in the choices they had to make, and after careful consideration, decided to break the first and second prizes into three joint first places, awarding CYDA, Wuyun, and ONTOFRAUD. 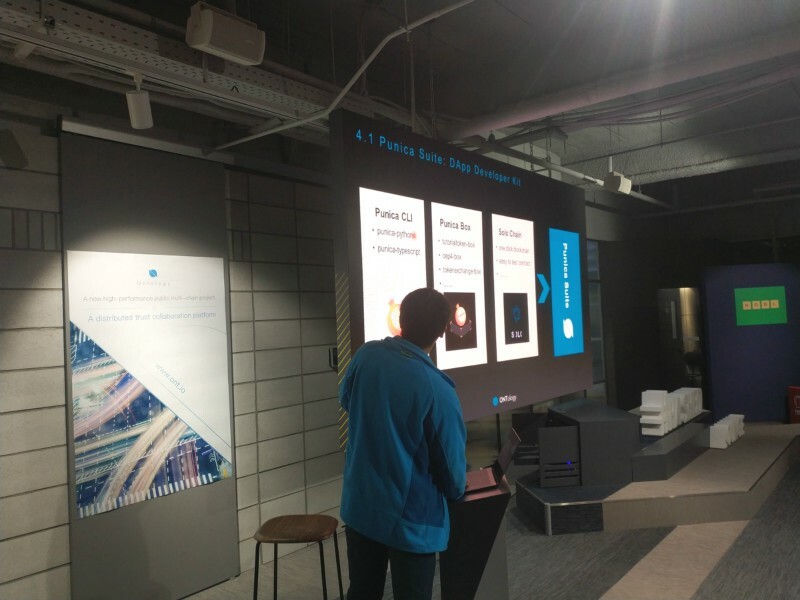 The Catalyst team won the third place, Pandas won the best innovation award, and Zscope received the best user experience award. … and bookmark our events page to keep up to date with future hackathons, we want to see you next time! Ontology is a new high-performance public blockchain project and a distributed trust collaboration platform. Ontology’s infrastructure and future prospects are extensive and take more than just a few sentences to explain, but we’ve seen the community finding their own ways to define Ontology over the past year, and we must say, we’re impressed. 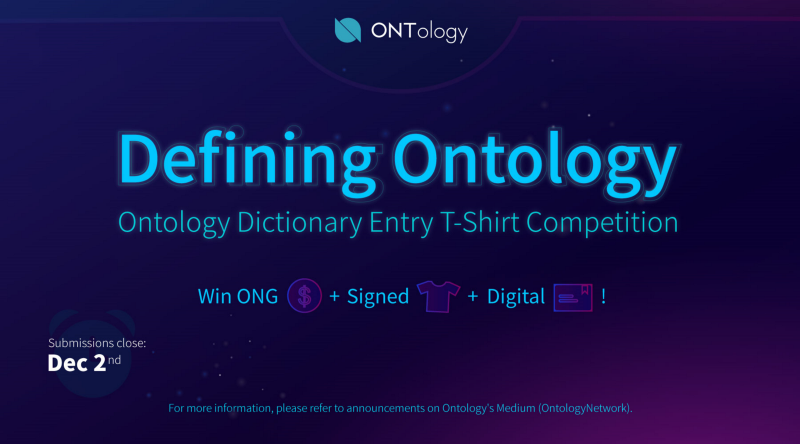 In light of this, we’re giving the opportunity for you to define Ontology, and we’ll reward the best definitions! 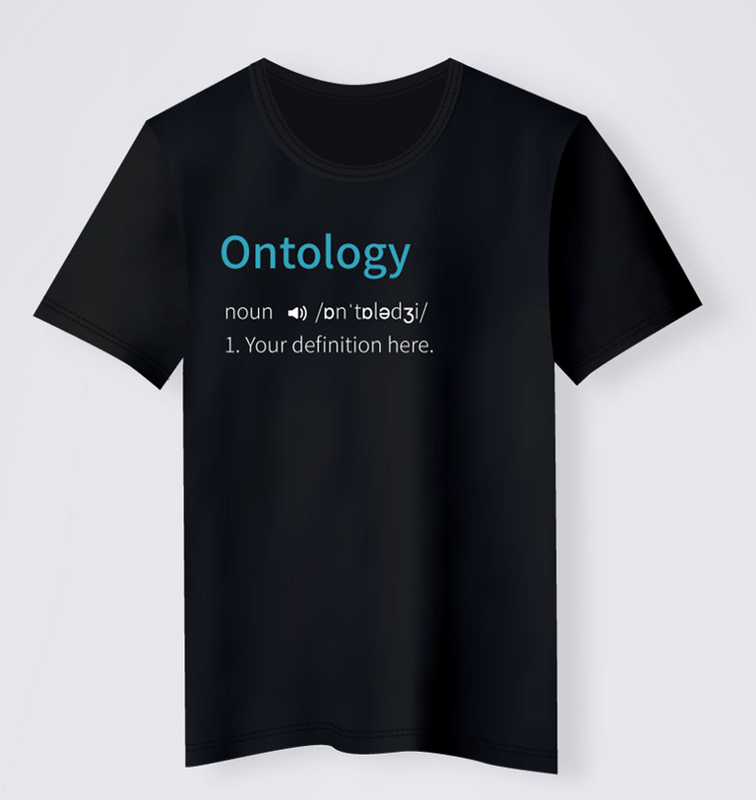 We’re looking for you to define Ontology for a t-shirt design like this. If you win, in addition to your ONG prize, we’ll also give you a copy of your t-shirt and a digital certificate! Define Ontology in English using no more than 25 words. Submit your definition and all required information here. All participants will agree to sign over copyright of their definition to the Ontology Foundation. The Ontology team will screen definitions for inappropriate language and forgery before community voting opens. Community voting will take place between December 6th and December 10th. Come back to this article or check out Ontology social media to find out how to vote. Winners will be announced on December 14th. Ontology reserves all rights for final interpretation of this event. Check out Ontology’s page here. Concepts such a “popular IP” and “creating super IP” are not new anymore. The digital content industry represented by animation, comics, games, and so on, is growing rapidly with strong momentum. AGC Network noticed this area has a wide audience of all ages, a relatively long life cycle, and can extend to other related industries such as clothing, toys, and entertainment, forming huge market size and consumer demands. However, a series of pain points produced during this process can’t be ignored. Problems like piracy and infringement, lack of incentive mechanisms, and monopoly of platforms limit the development of the digital content industry. 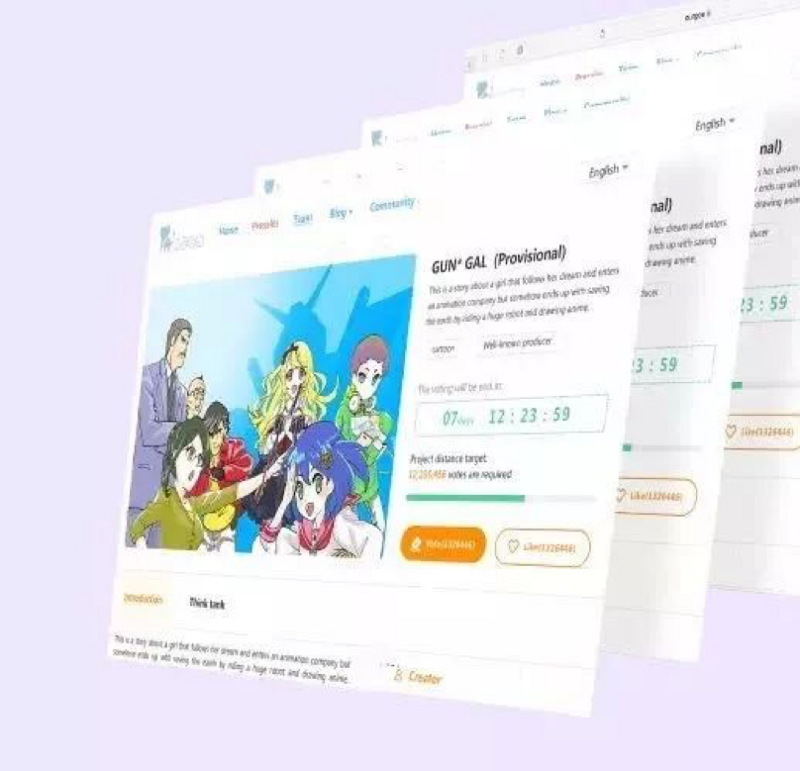 ACG Network creatively proposed to integrate digital content such as animation, comics, and games with blockchain technology, and set up ACG Network Japan Co., Ltd. in Tokyo to promote the rapid development of this cause. Ontology’s decentralized identity protocol ONT ID, distributed data trading framework ONT DDXF, decentralized authentication platform ONT Pass, and smart contract SmartX will play a key role throughout the process. In addition, Ontology’s smart contract system SmartX can make processes such as paid reading, viewing, and other user behavior on the ACG Network platform efficient, reliable, distributed, and traceable, which can improve user experience and constantly enhance user loyalty. “ACG Network aims to establish a complete digital content ecosystem and realize copyright protection and reliable project crowdfunding. 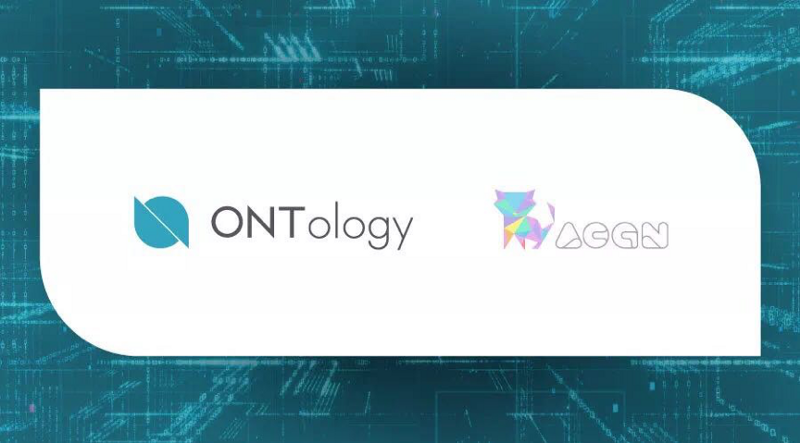 Through the cooperation with Ontology, ACG Network can achieve identity authentication between content creators and consumers, process coordination of digital content, trading of digital content, and establishment of financing platforms. In the future, ACG Network, together with Ontology, will push forward the development of the global digital content industry”. 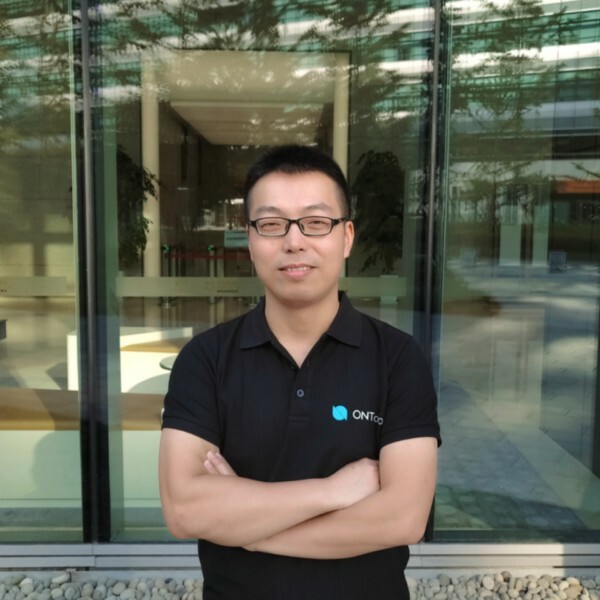 Daniel Wen, Ontology Business Development Director, believes that the development of the digital content industry is unstoppable. “As digital content is getting more popular, its pain points cannot be ignored. We are glad to support ACG Network with Ontology technology and look forward to the launch of future products”, he said. Last month we announced the Ontology Dictionary Entry T-Shirt Competition. Since then we’ve taken in submissions and held voting, thank you to everyone who participated in the event! According to the competition rules, the community and the Ontology team each counted for 50% of the vote share, and entries were then ranked from highest to lowest. The Creative Award was awarded to the top three entries and the Popular Award was awarded to the top entry among purely community votes. The future of trust and digital identity. On your feet, towards the lousy world, unchain your energy! The blockchain where trust is distributed upon. Trust no one but the code. Thanks again to everyone who got involved! Your continued enthusiasm, ideas, and feedback for Ontology and our goal of solving trust issues helps elevate the project. We look forward to 2019 with you. We’d also like to hear your opinion on future community events, please take a minute to complete this form. Last week we shared several ideas for Ontology dApp developer incentive models and opened up the conversation on Reddit to hear what you had to say. We have now come up with three models which we introduce below with information on how to apply. If you have questions or comments, please continue to let us know in this Reddit post. The Ontology Foundation has proposed an active dApp incentive model to rewarding dApps which rank in the top 50 in activity. The Ontology Foundation will award a total of 100,000,000 ONT and 100,000,000 ONG to the developers with the most active dApps in regular quotas. We will publicize the top 50 dApps based on the number of active users and transaction volume. If activity reaches a set number, it will qualify for ranking. If the number of dApps qualified for ranking is less than 50, the total bonus amount will be adjusted proportionally according to the number of dApps in the ranking. Incentives are divided into daily and weekly incentive rankings. The daily rankings will use ONG as a reward, with a total daily incentive of 20,000 ONG per day. The weekly rankings will use ONT as a reward, with a total weekly incentive of 90,000 ONT. Higher rankings will receive greater incentives and if the same dApp appears in both daily and weekly rankings, it will receive both of the rewards. After one year of trial operation, the Foundation will determine whether to adjust the model based on community feedback. If dApp activity is found to be manipulated, a penalty will be issued. Gambling dApps are currently not included in this incentive model. If during a certain period of time the Ontology dApp Store had four dApps and only two applications qualify for the daily ranking and weekly ranking, the total daily reward will be 2/50 of 20,000 ONG and total weekly reward will be 2/50 of 90,000 ONT. dApp D in the table below ranked second in the daily ranking, so would receive 263 ONG after the daily prize pool is reduced. Meanwhile, dApp D was ranked first in the weekly ranking, so 2,770 ONT from the weekly prize pool can be obtained. Therefore, the total income of dApp D for this period is 263 ONG and 2,770 ONT. 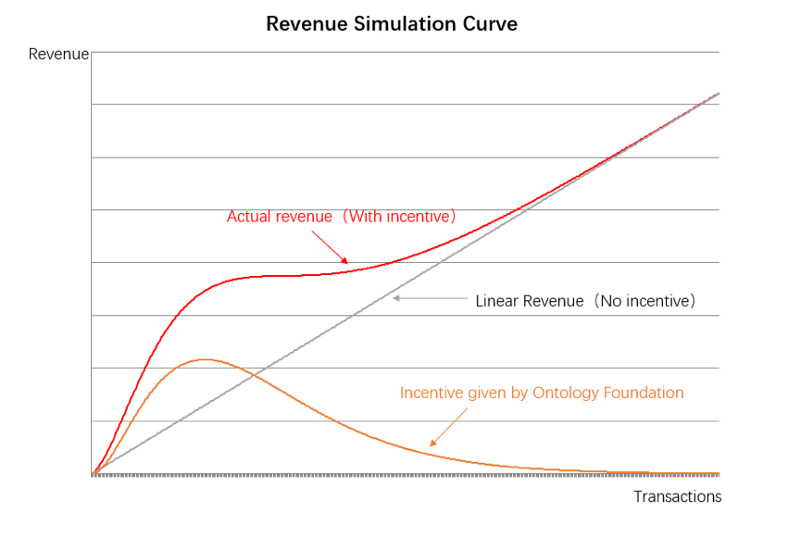 As shown below, we simulated an expected revenue curve for the developer of a dApp. We hope the model will help dApp developers overcome early operation and maintenance difficulties, and provide enough incentives for dApp developers to maintain long-term operation when the user transaction volume has not yet reached the ideal profitable point. Ontology encourages developers to jump start building their dApps on Ontology. For developers who start developing without funding, the loan program provides financial support right from the beginning. Developers can use the loan borrowed from the Ontology Foundation for their initial phase of dApp development, testing, and operation until it is up and running smoothly. The first installment will be issued when the smart contract is ready and the application has a prototype, meaning around 70% of the development process is complete. The second installment will be issued when the dApp goes live. The loan is issued in the form of ONT and we will record the equivalent USDT amount at the time of issuance (e.g. 10,000 ONT = 7,000 USDT). A: If the ONT price goes up developers can choose to return the equivalent USDT amount recorded at issuance. B: If the ONT price goes down developers can choose to return the same amount of ONT. Gambling dApps are not included in this loan program. The copyright and operations of dApps belong to the developers. 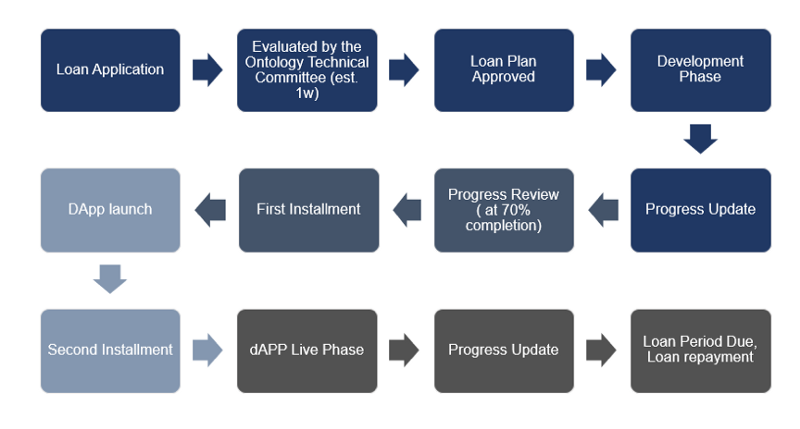 1st milestone: After you submit plans and functions of the dApp project, the Ontology Technical Committee will evaluate the materials and determine the loan amount, installment milestones, progress control, and repayment agreements between you and the developer team. The Ontology Technical Committee will appoint a project coordinator to track the progress of the project with your team. 2nd milestone: When the dApp development is 70% complete, the Ontology Technical Committee will review it. After evaluating the project, we will issue the first installment of your loan. 3rd milestone: After the dApp is launched, the second installment will be issued. 4th milestone: When the loan is due, you will need to pay back your loan in the method you choose. You can submit your application here. The application materials should include team name, email address, team introduction, GitHub address, the functions of your dApp, the development plan of your dApp, estimated number of days needed for development, estimated ONT loan amount needed, and estimated number of days needed for the loan (maximum one year). After providing developers with financial support for development and operation in Incentive Model A and B, we further hope to improve development efficiency and operational effectiveness through technical and marketing support. dApp developers can declare projects through the dApp page on our official website, and after the technical department evaluates it, Ontology will assign a project owner to help develop and market the dApp throughout its life cycle. Developers who wish to participate in both the loan program and technical and market support must submit two applications to receive support for both. 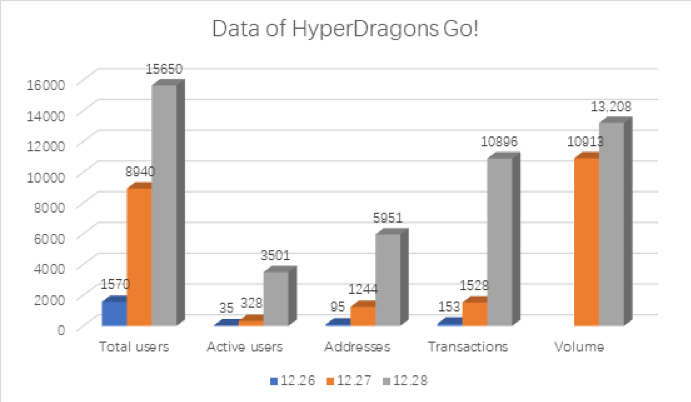 Providing protocols to help HyperDragons Go! to achieve the scan-to-play feature (ONTO is the first mobile app that supports such function). Guidance on the use of the TS-SDK. Coding instructions and auditing of smart contracts. Global community sharing: The news shared covered over 200,000 users over 36 channels on 11 social media platforms. Global marketing operations: event planning, poster design, news releases, local advertising, real-time community maintenance, and feedback. If you have any questions about the incentive models, you can contact us at [email protected] The Ontology Foundation reserves the right to interpret the incentive models. Ontology has announced its cooperation with computing platform TEEX, in which both parties will work on on-chain data privacy/security and secure client private key solutions. A TEE (Trusted Execution Environment) is a black box in a computer chip which protects code and data running in it from being tampered with or stolen by any external software, even privileged access software such as operating systems. 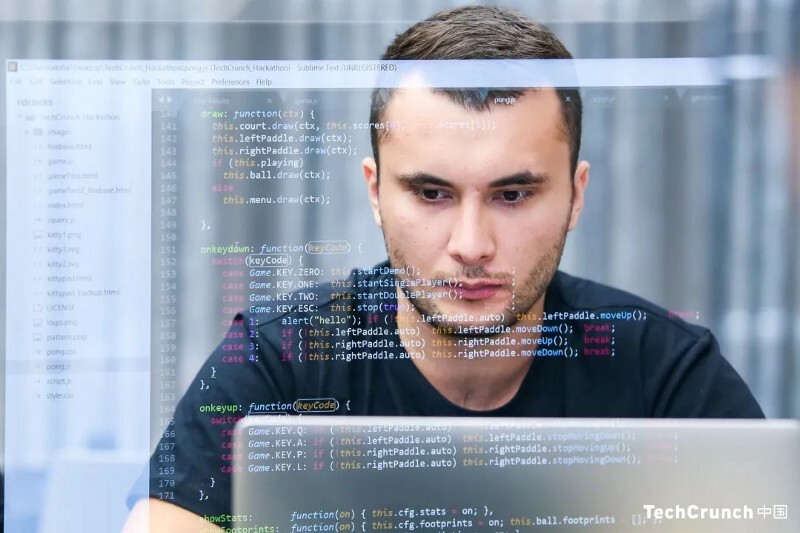 At the same time, TEE provides remote verification functions, so that users can actively verify whether user behavior conforms to expectations and ensure that users do not obtain any private data while providing effective proof of work. Using the TEEX Layer-2 privacy-preserving computation solution on the Ontology public blockchain, both parties will build a secure private smart contract execution environment, fully protecting data privacy and security during on-chain computing. This process will also help guarantee node incentives. 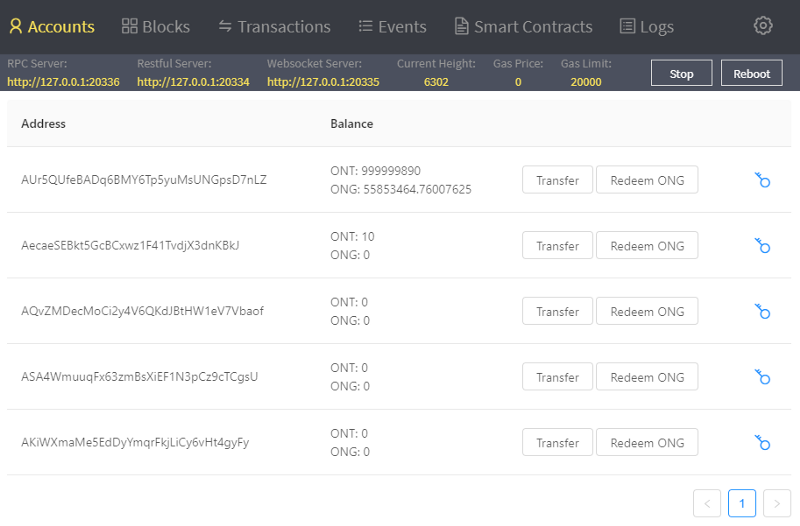 In addition, Ontology’s comprehensive mobile client ONTO and desktop client OWallet will use TEE to protect user private keys from leaking and help protect their assets. “Ontology focuses on public chain technology, while TEEX focuses on privacy-preserving solutions. The cooperation between TEEX and Ontology will create the world’s first high-performance MainNet with privacy-preserving computation and lay a solid foundation for blockchain implementation in the fields of AI, biomedicine, and finance”. TEEX is a secure distributed computing platform which creates a complete ecosystem for user, worker, and service provider. It builds a decentralized, flexible, and easy-to-use computing resource sharing platform. TEEX has conducted in-depth cooperation with partners in fields including artificial intelligence, big data computing, biomedicine, and other fields. TEEX team members mainly come from top scientific research teams from universities and colleges internationally. With almost ten years research and development experience in TEE, as well as system security and rich entrepreneurial and project landing experience, the team has successfully applied TEE solutions to the mobile platform, which has been deployed to nearly 100 million mobile devices. For further information, please visit: https://teex.io. Ontology is dedicated to creating a collaborative open-source tech community. This requires constantly improving development tools and support to give developers easy access to decentralized technology. 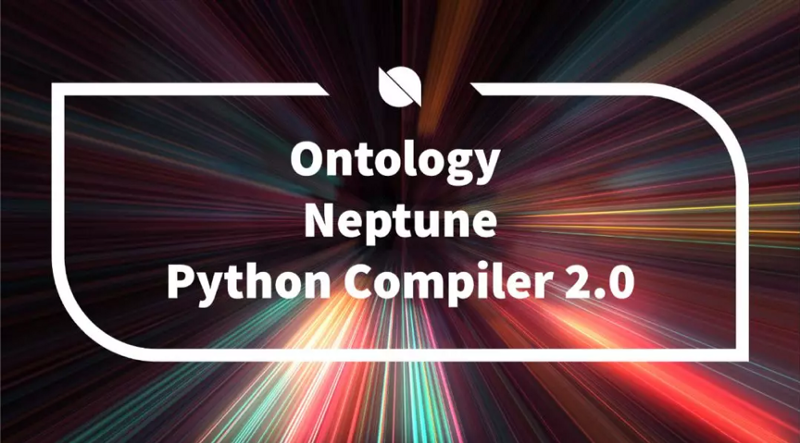 We are excited to announce the release of Ontology Neptune, the new Python Compiler, which includes more syntax features and precise syntax checking while maintaining Python semantics, enabling developers to harness the power of smart contracts. If you are a developer, make sure you have joined our Discord, there you can interact with Ontology core team developers and community developers. Also, take a look at the Developer Center on our website, there you can find developer tools, documentation, and more. You can find Ontology Neptune on our Github. Rewrite the compilation framework to implement a compilation process based on an abstract syntax tree. Keywords like break and continue are supported and can be used in any nested loop. Support for keywords like while, for, and loop else. Support for in keyword. You can use a statement in the form of if a in list. Support to write as many statements as you like on a single line. Map value content and nesting levels are unrestricted and can take many forms, such as list, map, function, and call. String slice supports string[ :], string[ : end], and string[start: ]. More strict function definition checks. Functions can be customized and imported, and any other function calls will report undefined errors. System calls and built-in functions both need to be imported. More syntax checking, such as number of function parameter, number mismatch, function redefinition and undefined variable, and so on. More precise syntax information for printing errors. For details of supported built-ins, please refer to builtins.py. Implement a series of commonly used library functions int, str, bytes2hexstring, hexstring2bytes, bytearray_reverse, split, list_remove_elt, elt_in Please see the function and implementation in libont.py. Will support dict’s has_key, values, keys functions, and list remove function. Also, restore the semantics of global code (supports global writable variables, implementing cross-function shared variables). More in line with Python syntax, supporting more grammatical features. 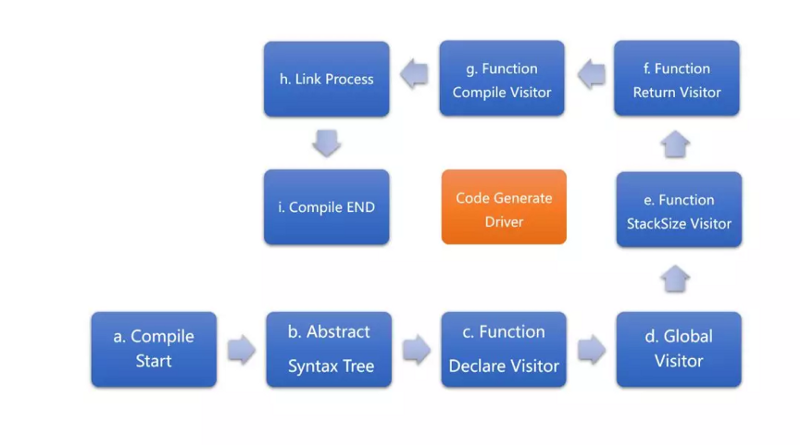 Start with Compile Start and drive the entire build process with the Code Generate Driver. The decomposition of the process makes the code framework clearer and more logical, avoiding bugs in the version’s iteration process. Analyze Python source code to get Abstract Syntax Tree (AST). Using AST, obtain the function declaration, process the imported module, and analyze the function classification features, including user-defined functions (user defined), library functions (lib), built-in functions (builtins), system calls (systemcall), entry functions (Main/main), and find regular syntax errors such as function redefinition. Determine the stack size of the function. Determine if the function has a return value. The Compiler specifies that the function with the return value must be assigned to a variable to avoid disrupting the stack structure. All offsets can be determined only after all source code has been compiled. This version of the Compiler has reserved relocation space and corresponding label address, and the last step executes link work. Compile completed, print the instruction stream according to the option. It has been over a year since Ontology’s launch and six months since MainNet went live. During this time, the Ontology development team has been progressing on the roadmaps and expanding the team, as well as helping out those in the community who wish to develop on Ontology. Most recently, we released the designs for STOs and sharding, as well as the dApp incentive model, for which we have seen a lot of discussion about online. Undoubtedly a lot went on in 2018 and we have more planned for 2019. 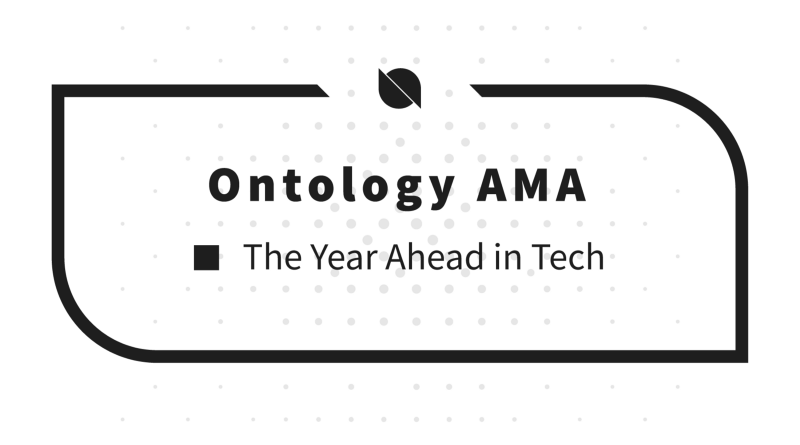 On January 10th, we held an AMA for questions you have for our tech team about Ontology and what we have planned for the year ahead. Below is the summary of the answers. What ideas or incentives do you have to compete with the massive dApps EOS and TRX have created? At present, dApps mainly revolve around the transaction of tokens. The fluctuation of token value has no anchoring foundation, which limits the types of dApps, and makes dApps used mainly for gambling at the moment. However, the potential of dApps is much more than that! The value of data and interactions in a trust network are the direction of interest for Ontology. Considering the volume viral internet applications have, more expansion capabilities are needed. On the basis of Ontology multi-chain proposed in 2017, combined with the latest research results last year, Ontology has completed a multi-chain prototype, multi-layer design, and is continuously preparing for scalability. Don’t build a platform in quicksand! Ontology’s incentive mechanism wasn’t brought out during the bull market, but instead when Ontology technology was best prepared. Ontology accepts developers with an open attitude and willingness to foot the bill. There are application incentives and core team technical support available with four dApp incentive programs. For dApp developers developing on platforms, the capabilities of the platform limit the development of applications. Ontology is another platform, a brand new platform, that is far from reaching its upper limit. In this complicated blockchain industry, Ontology has chosen a more ambitious goal, and has also chosen a difficult road. I hope that community members will accompany us to move forward! What’s the top technical priority right now? At present, the focus is mainly on ease of use and scalability — the two are interrelated. Ease of use is primarily in the area of smart contract platforms and application incentives. Scalability is primarily in terms of multi-layer sharding and multi-chain expansion. What are the biggest technical challenges and how do you intend to tackle them? In terms of scalability, we have the latest multi-layer sharding design and are currently in the process of development. In terms of application landing, there are new development tools such as the Python Compiler and Wasm platform, as well as the dApp incentive mechanism. What are the biggest threats to your project, and how do you plan on overcoming them? The problem of regional regulations. Since blockchain is new, the public chain system relies on the token value tool to form a crypto economy, and the crypto economic system is not a traditional economy. Therefore, at the blockchain compliance level, governments have different considerations and try to bring about the need for different areas of compliance. Different requirements may form different governance models, and the trust endorsement of blockchain design needs to match the governance model. It poses a very big challenge for the design of on-chain business products. Ontology proposes a multi-chain and multi-layer design, clarifies multi-chain compliance and multi-layer expansion, and fundamentally solves the problem of regional compliance. From the impact of the industry, the financial attribute of tokens makes many blockchain projects start the secondary market ahead of time, but lacks support of the primary market. Ontology fully promotes blockchain infrastructure and is constantly looking for opportunities to enter the primary market and try to conduct primary market operations. There is a large volatility in the secondary market that is not anchored by the primary market, and large fluctuations may adversely affect the attempts of the primary market. Ontology continues to try and hopes to have the support of the community. 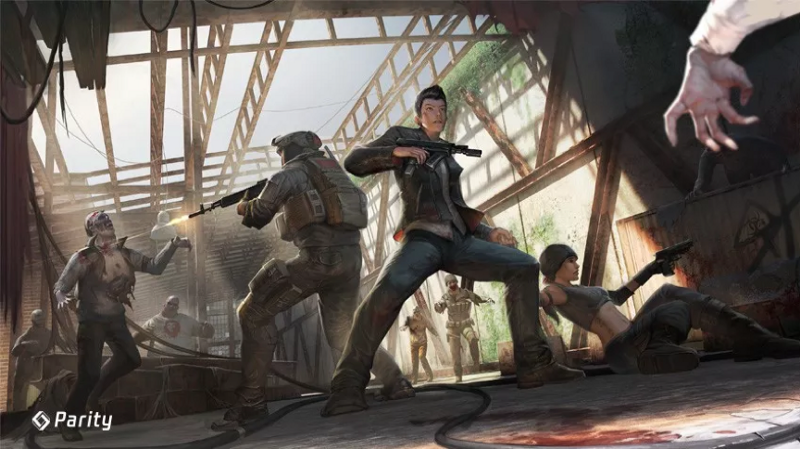 Misunderstandings from the community, ontensive techniques, and insufficient support for the community may cause misunderstanding, we’re sorry for not giving the community more support. We will increase support for the community and hope many more technology enthusiasts will participate. What is the vision for decentralization? Will I be able to run a node on my Raspberry Pi one day without needing a massive amount of ONT? Decentralization does not happen overnight. It is based on the full recognition of the community and we have been working hard on it. Ontology is based on the PoS mechanism, and the configured lower limit is just 1,000 ONT. Our current required stake for a node is much higher, but with the development of the Ontology network, we will be able to return this value down to the normal level. What is the next milestone you are very excited about? 2019 will be a year of rapid advancement. In terms of scalability, in 2019 we will work on multi-layer and multi-chain interconnection. In terms of application landing, more dApps and application scenarios will come about as a result of the dApp incentive models. What is your plan to bring mass adoption to this space? Ontology is always considering digital identity and data exchange as a core strategy. ONT Pass and ONT ID were recently released as Ontology products, one of our plans is to give financial and KYC services these tools. Recently we helped ACGN with a KYC solution. 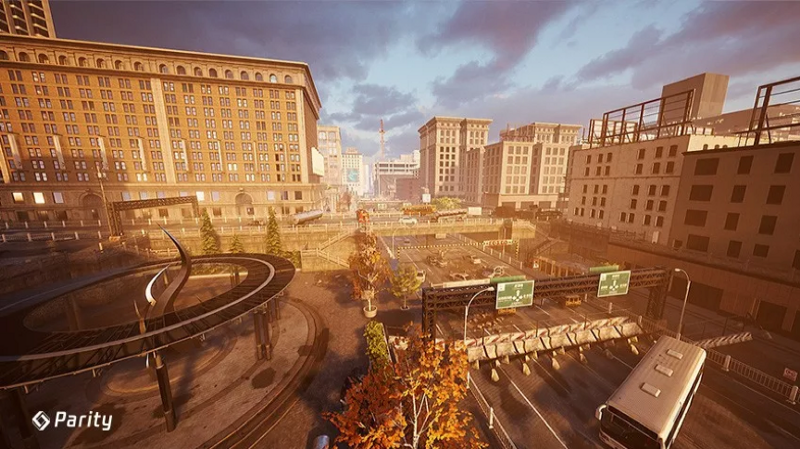 Will the roadmap be updated? The roadmap has been completed according to plan. Practice has proved that the plan is reasonable, therefore the roadmap remains unchanged in the general direction. However, the design of multi-layer shard design will be extended on the basis of isomorphic multi-chain. In Q2 we will update the white paper and details of delivery milestones. When will the third Triones candidate nodes start? There won’t be a third round of node applications as we did before, in future it will be open for anyone who wants to be a node and meets the requirements. Where do you see the first real commercial users of the Ontology blockchain, Asia? Europe? North America? Do you have any speculative interest in your new Securiry Token OEP-506 protocol? We’re actually working on initiatives in each of those regions, we do not have a preference. We just built the STO token standard for the industry, it’s open for anyone who wants to use it. Meanwhile, we deliver our full stack STO to our core partners. If anybody want to cooperate, please send request to our bd mailbox: [email protected]. Are you going to stay in China? Or are you looking to have global expansion? We have set up initial research centres in Japan, Korea, and the US, and are focusing on a globalization strategy to expand our ecosystem. In the next quarter, we hope to build an Eastern Europe R&D center. 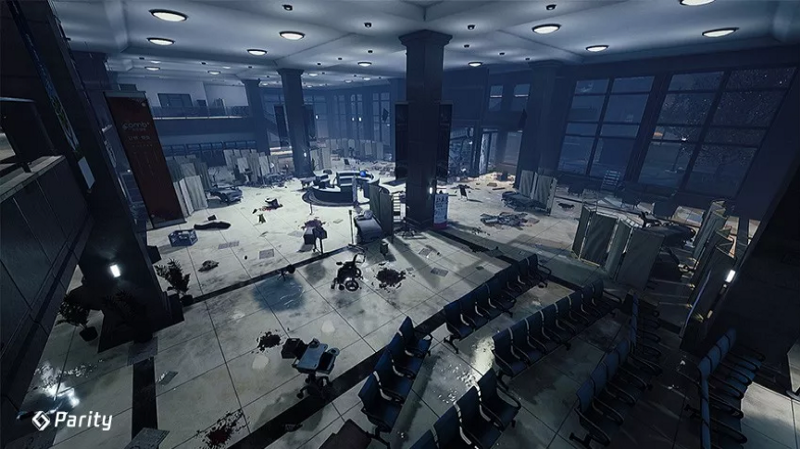 Any chance you could implement a change nodes button so we could switch at the end/beginning of a round without having a three-round penalty? Unfortunately not. The design of the blockchain system is not only to satisfy the interests of the stakeholder, but also to ensure the security of the blockchain, in other words, the design for the costs against malicious behavior. Ontology’s design tries to find a balance between the two. The design of the node switch lockout period is mainly a judgment and appeal cycle for the possible malicious behavior of a node, preventing the node from escaping with their stake after performing malicious acts. The lock-up period gives the community a reaction time to judge and punish the node for malicious acts. For ONT individuals stake with nodes, this rule also applies (5% penalty). Therefore, when staking, please choose carefully. What’s the status of designing fast signature verification using FPGA? It is worth with sharding? It’s currently in our bounty program, the implementation process by the community developer has not yet been completed (Hardware Acceleration by X.Dong Team). To follow the status updates please refer to https://bounty.ont.io/. Of course, if you have an FPGA-capable development team you are welcome to participate, please submit a bounty on the bounty page, and the Ontology team will review it and contact you. Signature and verification are a common module which is used by sharding. Why are the main consensus nodes named after stars in the Big Dipper? The main source of revenue for nodes is the gas fee. The Ontology team realized that at the beginning of the project the number of businesses was insufficient to support the cost of node operation and maintenance. Therefore, at the beginning of the network, seven nodes are selected as the scale of the Ontology consensus network. The startup network was named Triones (another name for the Ursa Major) and the seven nodes were named after the Big Dipper. After the network started, the consensus network follows the code logic of the VBFT consensus mechanism and governance contract, and nodes are selected to enter the consensus network according to the amount of PoS. Since the network has been running there still remains seven consensus nodes. After the second round of Triones consensus nodes have staked, there will be 38 nodes participating in the candidate network. By then, the size of the consensus network will be expanded to the nine nodes with the highest stake. As the number of services increase the gas amount will increase, and Ontology will gradually expand the network scale. At that point, more and more nodes will join the consensus network. Are you going to require partners who develop on your network or who work with you to own and stake a certain amount of ONT to be a part of the system? This is optional, not a requirement. Is there any plan to build a digital identity product using the Ontology chain which could be used to prove a persons identity for online services? ONTO already supports this, you can complete your identity authentications on your phone and use it for online KYC services. We hope to have more partnerships in the near future. What progress has been made with SenseTime? What niche will SenseTime have? SenseTime has already been integrated as a trust anchor. In the near future we plan to add their AI authentication tools including facial recognition. Can your dev team make it possible to stake in ONTO mobile wallet? ONTO currently does not have plans to integrate stake authorization into ONTO, however there are plans for third party mobile wallets to support it. Will it be possible to develop in more languages in the future? In the future we plan to support Golang to write smart contracts. Last tech report explained that some milestones has been accomplished but there are some pull-requests like: QUIC, MPT, Wasm, DHT ,and Shadowchain pending to merge. Do you have any ETA? The code for all of them is finished. Wasm, MPT, and Shadowchain have already finished being tested on side chains. The others are currently going through code review, then will go through testing. We hope to get them out as soon as possible. The Ontology Team was working on a storage module called ‘dasein’ based on IPFS but stopped. Is it possible to know why? Storage is the core module of a blockchain project. The complete blockchain solution needs to address core issues such as data storage (on-chain and off-chain), storage solutions (encryption schemes, information privacy protection), and storage charing models. Ontology proposes a storage-based solution that needs to be designed with multiple layers and multiple chains to meet the needs of cross-chain cross-sharding while meeting the 2019 heterogeneous chain cross-chain roadmap target (Plato). Therefore, Ontology has not stopped the optimization and iteration updates of the storage module. Please refer to official accounts for correct information. Thank you for your support! How do you intend to reach out to the current app developers from different platforms? We will continuously host tech workshops, meetups, and hackathons. Through social media we hope developers from other projects would like to explore Ontology. We are talking with other projects to host collaborative smart contract development workshops so that developers can explore different platforms. We don’t see other projects as competitors rather as complementary ecosystems. Do the hackathons bring value, real apps which will be continued and released? Yes, e.g. 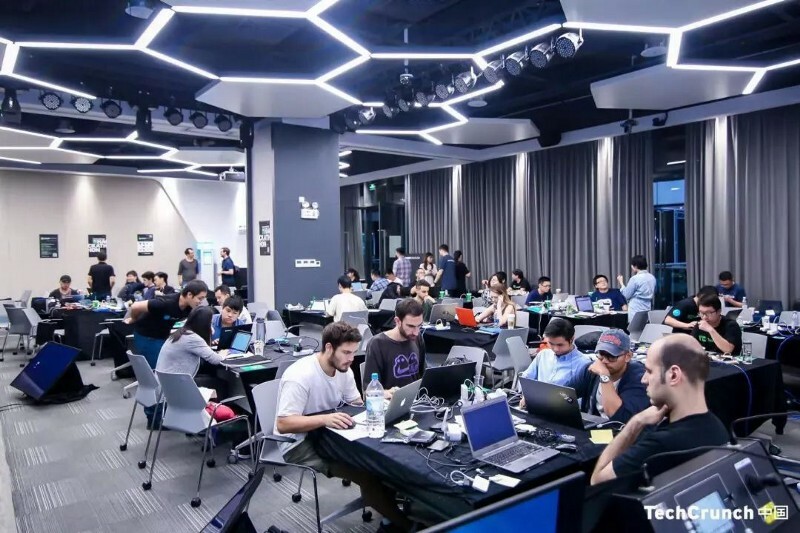 we hosted a Hackathon in Tokyo last month where we had 10 dApps teams which delivered functional prototypes. Three of the teams are planning to deploy their solution on MainNet. Some technical events/hackathons has been canceled, is it possible to know why? We are doing lots of the events with community and co-system partners. Sometimes these partner involvement change form. What was the main inspiration for starting Ontology? What was it in the blockchain space that Jun Li felt was lacking and could be solved with Ontology vs. the many other existing platforms? We already had good experience in public and private blockchain technical solutions for enterprises and institutions, but found public blockchains in general find it hard to support mainstream businesses directly. They face a lot of problems such as performance, scalability, and trust collaboration, including digital identity and data exchange. That’s why we need to build a new public chain architecture, and why we decided to start Ontology. The things Ontology can currently provide are solutions to those challenges just mentioned like scalability, performance, and the link mainstream business scenarios — a trust collaboration platform that includes digital identity, data exchange, a contract signature service, etc., for both digital and real business scenarios — that’s our difference with other projects. Furthermore, at infrastructure-level Ontology has a strong technical design — scalability, sharding, and other technologies. Ontology is currently the platform that can best support all of this. Are you working to get the ONG token listed on other larger exchanges? Is the application being reviewed with Binance since they already distribute monthly and have custody in place? We’re working hard to get ONG listed on larger exchanges — the result depends on evaluation from exchanges. Will Ontology partner with any big USA company? We’re in talks with some big US tech companies, but we’re restricted by NDAs. Stay tuned. Ontology dApp Incentive Models: Receive a 60% ONG rebate from your dApp! 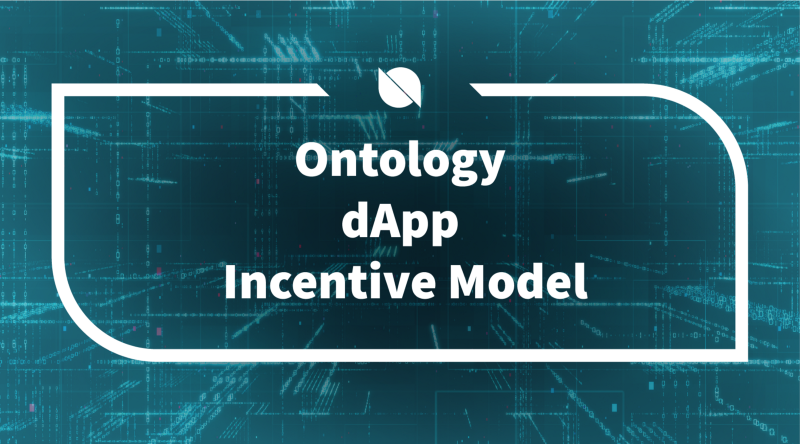 In December we shared four new incentive models for developers of dApps on Ontology and opened applications ahead of April 1st this year when the dApp incentive models go live. Please visit this page for full details of each of the incentive models and how to apply. If you are interested in, have questions about, or would like to give feedback regarding the incentive models, please get in touch with us however you would like: Telegram, Discord, Reddit, or email us at [email protected]. We are happy to hear from you!